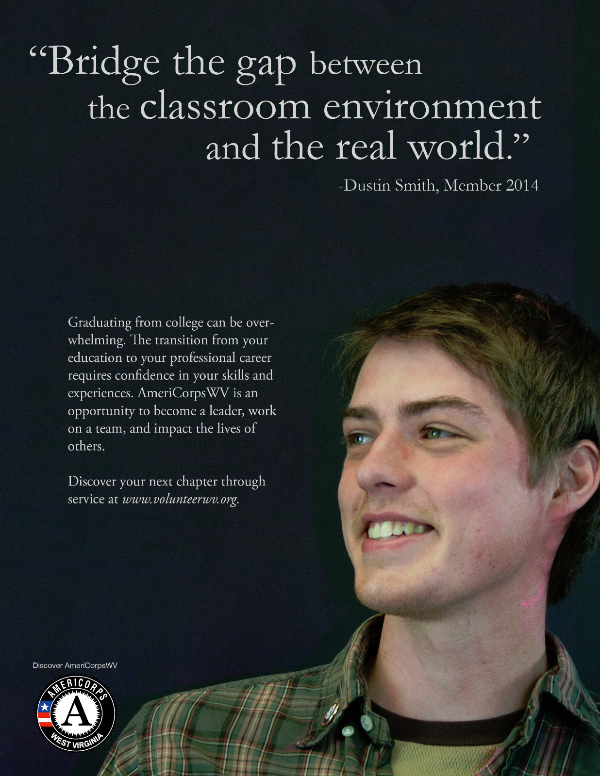 AFHA AmerCorps Dustin Smith is featured in a recruitment poster from Volunteer WV. See www.appalachianforest.us/americorps.htm for information about applying and a full list of positions. Sometimes, I’ve observed, it’s possible to get caught up in the "fun" of the Civil War and overlook the human reality of it. We photograph battles being reenacted; we admire the ladies in their hoop skirts; we brag over which general stayed here, which Civil War "first" took place in our town. Fundamentally, though, the Civil War was a war like any other: individuals offered their lives for a cause, and in return hoped that history would recognize their sacrifice. Just yesterday, I had the opportunity to help a visitor at the Beverly Heritage Center as he worked to flesh out his ancestor’s path through the Civil War years, ranging from the Battle of Rich Mountain in 1861, all the way to Gettysburg in 1863. So far his research had been fairly general, gleaned from online articles about battles and troop movements. Now, he came looking for specifics. My project this service term has been a complete overhauling and cataloguing of the 800 books and 300 magazines in our Resource Library. As a result of this project, I’m pretty well versed in the research materials we have on hand. 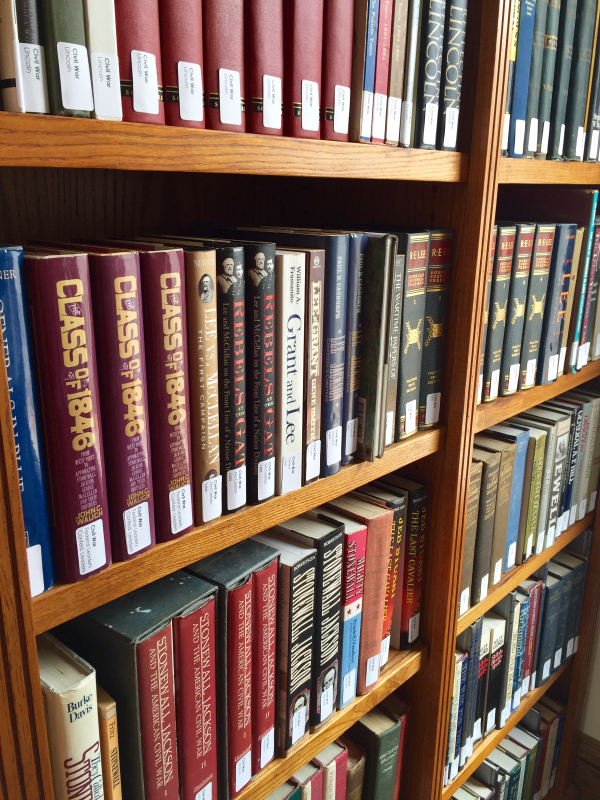 The Resource Library at the Beverly Heritage Center. I sat down with our visitor and together we looked through the appendices in one such book, which lists all the troops who were killed, wounded, captured, or surrendered at the Battle of Rich Mountain. He pointed to the list, now excited: under "Confederate, captured" was his ancestor’s name. The book’s bibliography lists another source for more complete battle records. It’s an obscure publication, a periodical from April 1961, produced by a neighboring organization. From my cataloguing, I knew that we have a couple of these periodicals. But April 1961? Organization triumphed, and I quickly found that yes, we do have April 1961! We flipped forward and found the referenced list, this one naming two of his ancestors and the Virginia regiment they re-joined, six months after being released from Federal capture. Our visitor was clearly in awe—both that we had the resources on hand, and that he had finally, after much guesswork, found his ancestors’ names in print. Twice. For me, this encounter offered total affirmation of the years' service: an endeavor to preserve the past, organize the present, and in doing so, make the connection between the two all the more real. On June 23rd a group of conservation minded folks gathered together at Parsons, WV to remove two large patches of Japanese Knotweed (Fallopia japonica), just one of many invasive species found in West Virginia. One of the members of this group was The Nature Conservancy (TNC), with whom I serve as an AmeriCorps member. According to the USDA, Japanese Knotweed is native to Asia and, like many other invasive species, was brought to America as an ornamental plant in the late 1800’s. Unfortunately, this shallow-rooted, aggressively-growing plant has spread beyond its ornamental limits and has taken over many riparian corridors. Consequently, the soil along these corridors erode into the streams and fill in important aquatic habitat. After starting with some background on Knotweed and going over our game plan for the day, we went to work. Laden with brush saws and machetes, we took off into the thick brush and began hacking and sawing away. Initially, the Knotweed was everywhere and everyone had a patch to work on. However, as the day progressed, the Knotweed became harder and harder to find. We were knocking it out like pros! 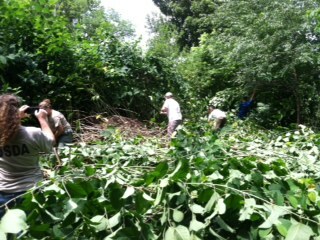 A large portion of people came from various organizations help out with cutting Japanese Knotweed. The photo above shows a large patch of Knotweed being cut with machetes. It’s amazing what a group of folks can accomplish if they set their minds to it. What seemed to be a never ending jungle of thick, shading Knotweed quickly turned into an open, sunlit space. Being able to work together to accomplish so much in a little amount of time was a really rewarding experience for me, as well as seeing the landowner’s face when he saw his backyard so open for the first time. With the Knotweed cut down, it will be easier for someone to come back in August to spray it with a water-safe herbicide. 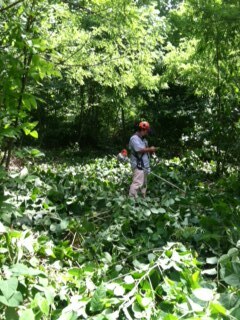 Brush saws were also used in combination with machetes to cut Knotweed. The photo above displays Mike Powell, a TNC member, in a nearly completed patch of Knotweed. Experience the heritage of your area! Sites of the Month spotlights events and locations within the region, based on AFHA's four themes: forestry, history, culture, and nature. The Tea Creek Area and Campground resides among the Yew Pine Mountains just north of the Cranberry Wilderness Area. Tea Creek drains into the steep canyon southeast into the Williams river, a river renowned for its trout fishing. Due to the ruggedness of the terrain, the area remained wild long after the lowlands had been settled; the last mountain lion killed in West Virginia was shot on the creek in 1887. The region was logged at the turn of the century and is today part of the Monongahela National Forest. The campground contains 28 sites and in addition to fishing there are opportunities for hiking, bird watching, and mountain biking. The Greenbrier Resort in White Sulpher Springs has been welcoming guests since 1778 to the site of a sulpher water spring that had long been used by Native Americans for its restorative properties. Starting in the 1830s, the Greenbrier became a destination for the wealthy and powerful including 26 U.S. Presidents. In 1858 the first large hotel was built on the site and the core of the current Greenbrier Hotel was constructed in 1913. Designer Dorothy Draper redecorated the interior in 1946 and we previously featured the Bunker at the Greenbrier, built in 1961. The resort is now a National Historic Landmark. Music at Penn Alps is a summer concert series in Garrett County, Maryland that features a mix of classical and traditional music. 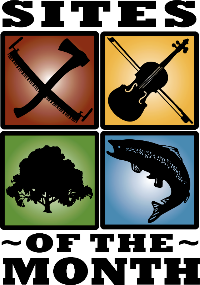 The classical concerts are focused on chamber ensembles and recitals, while each year two concerts feature American popular and folk music. The concerts have taken place continually since 1993, with the management evolving into a more professionally run organization. The Penn Alps complex also includes the Penn Alps Restaurant and Craft Shop as well as Spruce Forest Artisan Village, previously featured in AFHA's February 2013 newsletter. Edwards Run Wildlife Management Area in Hampshire County is located two miles north of Capon Bridge. It is run by the West Virginia Division of Natural Resources. The terrain consists of steep slopes on low hills containing hickory and oak trees. There are primitive campsites on its 394 acres as well as fishing opportunities for bass, bluegill, sunfish, channel catfish and trout that are kept stocked in both Edwards Run and a 2 acre lake, Edwards's Pond. Stocking happens once every February and once every two weeks March - May. The WMA is considered one of the top public lands for hunting in the state where turkey, gruffled grouse, squirrel and white-tailed deer can be found. Bird watchers may find a wide variety of songbirds including the tufted titmouse, yellow-throated vireo, wood thrush, American robin, yellow warbler, song sparrow, indigo bunting, Baltimore oriole, American goldfinch and Louisiana waterthrush, especially during the spring and summer nesting season. Do you have a suggestion for Sites of the Month? Email us at: info@appalachianforest.us and let us know your favorite sites throughout AFHA! Copyright © 2015 Appalachian Forest Heritage Area, All rights reserved.